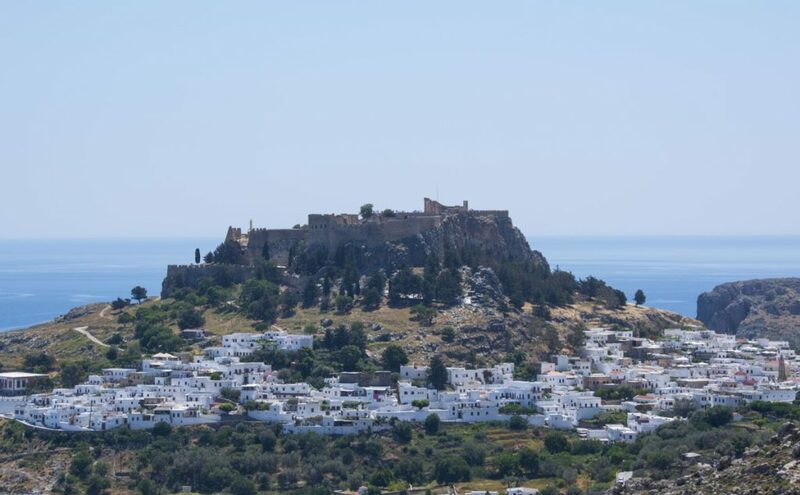 The top things to do in Lindos range from ancient sights, beautiful beaches and capturing incredible panoramic photos of this historic coastal town. 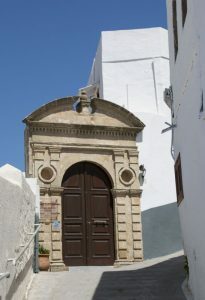 St. George Church in Lindos. This coastal destination caught me by surprise. I love setting my sights upon views that tell a thousand stories. 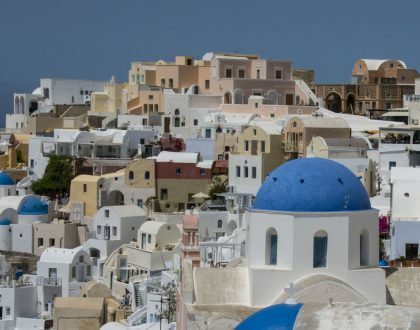 Here, surrounded by unreal turquoise waters, I found a whitewashed town sprawled at the foot a 116-meter-high, rocky hill topped by an ancient walled city and a beautifully preserved Acropolis. 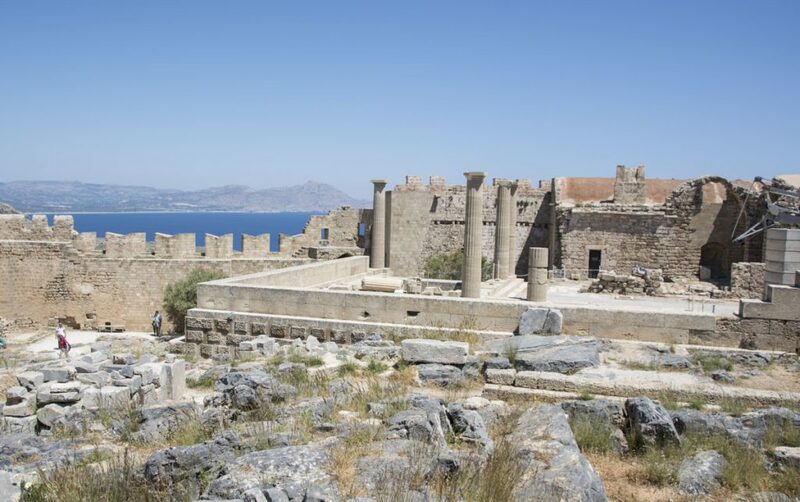 Like Rhodes Town, Lindos is a fascinating blend of ancient Greece and Medieval Europe. It is a must during your visit to Rhodes. 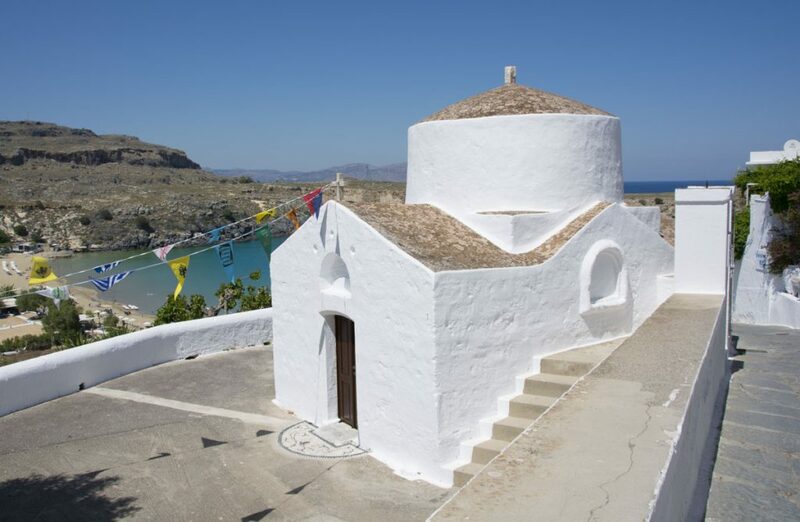 Take a look at the best things to do in Lindos below and you’ll see why. 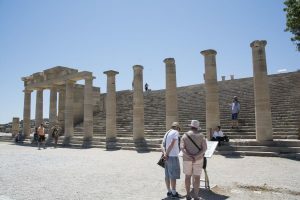 The Acropolis of Lindos is one of the top things to do in Lindos. We walked up the stone path to the site. It only took about 20 minutes and we were going quite slow to soak in the views that just keep getting better as you go up. 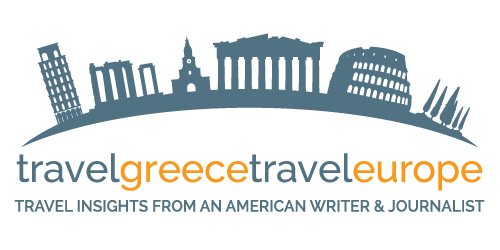 Monumental 4th-century gates and reliefs from 280 B.C. The Temple of Athena Lindia sits above an earlier temple where there’s a great Doric stoa and 34 steps that lead to the propylaea. The 14th-century Castle of the Knights of St. John. 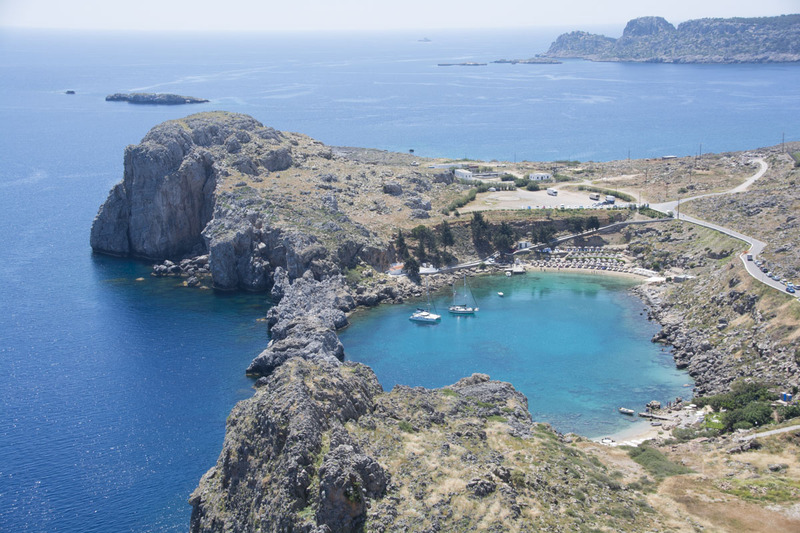 Take in a panoramic view of Lindos and the sea. 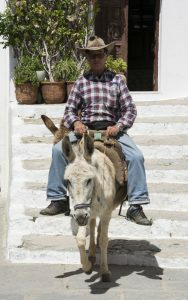 You can rent a donkey to make your way up to the Acropolis. The cost is 6 euro each way. I didn’t because, to be honest, I felt bad for them! We preferred to walk. It wasn’t a long walk for us anyway. 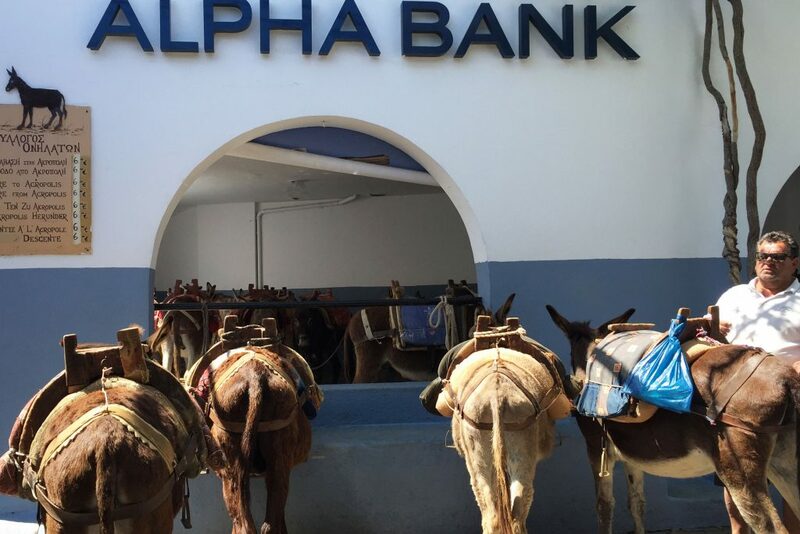 The donkey station is under the Alpha Bank near the main square of Lindos. 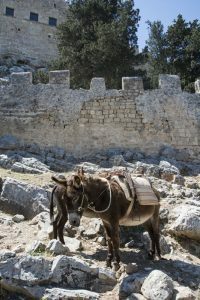 Donkey riders on the path to the Acropolis. 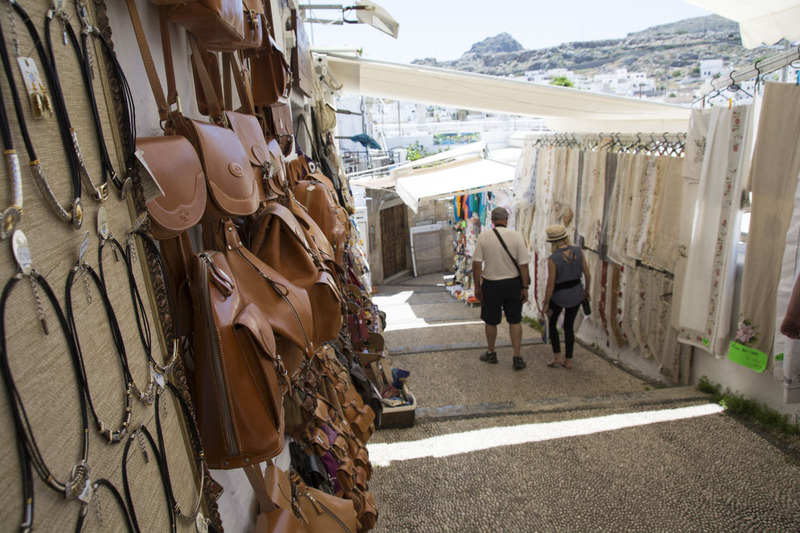 I really liked strolling around Lindos. Besides finding places to eat and shop, there are beautiful old mansions dating back to as early as the 17th century. The doors of the village are so grand and impressive too. Getting “lost” in the lanes is definitely one of the best things to do in Lindos. 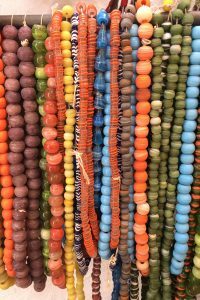 There are dozens of shops selling touristic items, jewelry and handmade crafts throughout the town. So, if you are looking for something special to take home – you’ll find something here. I especially loved the selection of Greek inspired jewelry. 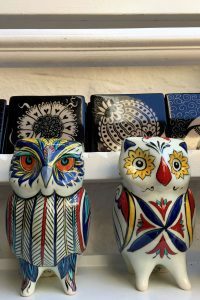 I also highly recommend the shop at Melenos Lindos. 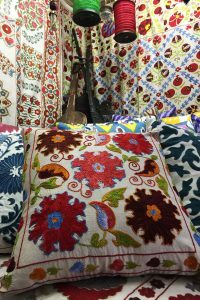 Just loved the fantastic ethic finds there. 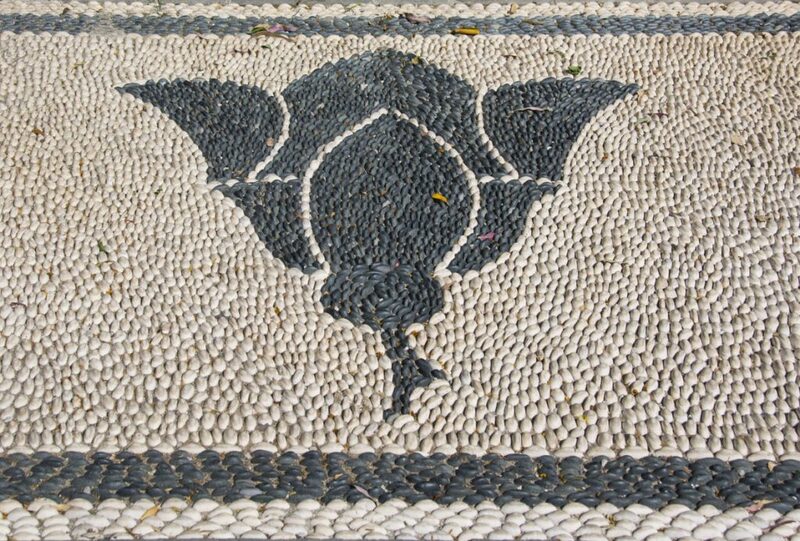 Rhodes is known for these amazing pebbled mosaics created from black and white smooth sea rocks called hohlaki. Lindos has many impressive ones. Look down and around you to admire this unique and beautiful island craftsmanship. 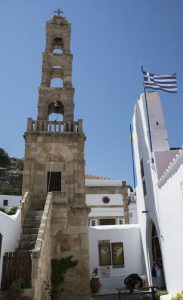 Originally built in 1300, the Church of Panagia is known for its high-rise, stone campanile tower, typical of Dodecanese churches. Inside, there are 19th century wall frescoes depicting biblical scenes. 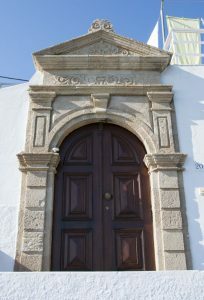 Located in the village of Lindos. 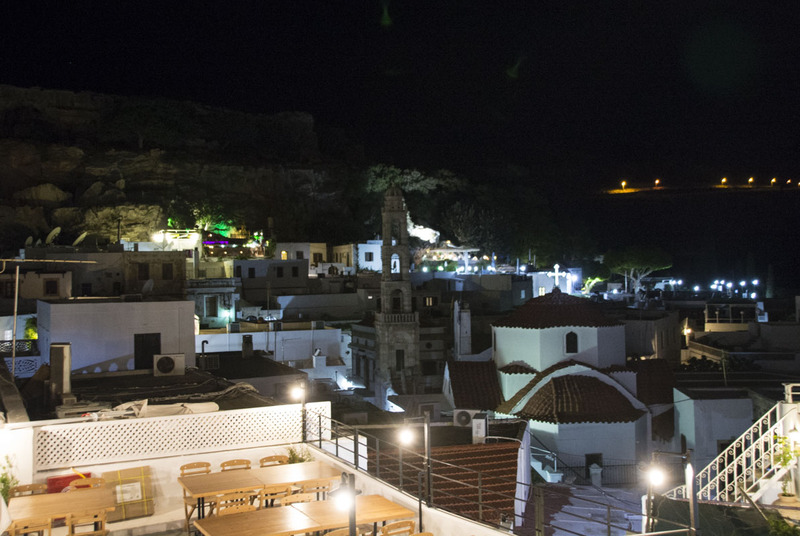 While you are at the top of Acropolis of Lindos, you’ll notice the dozens of rooftop venues scattered throughout the town. 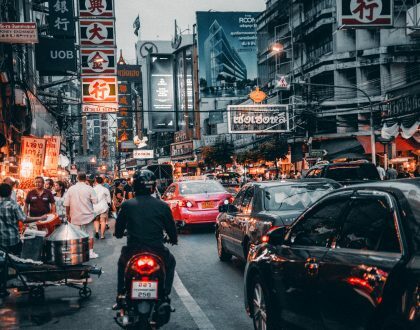 Head out to one of them day or night and feel the unique ambiance and energy here! 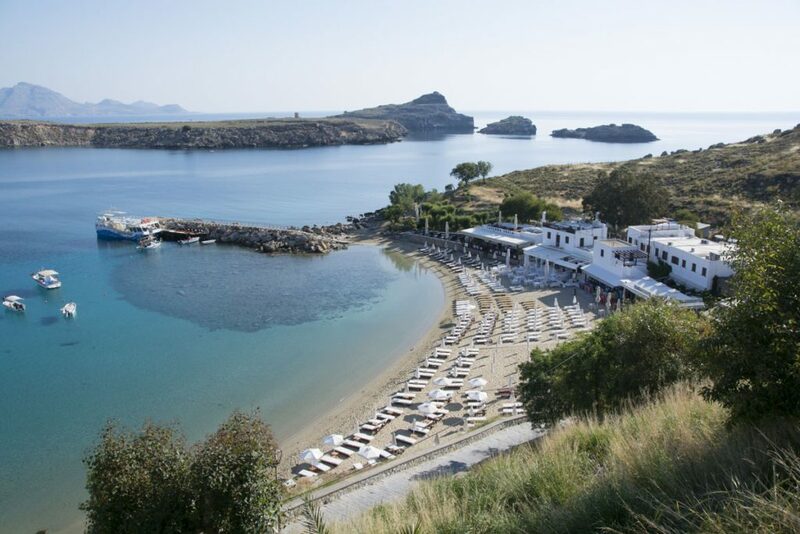 Going to the beach is one of the top things to do in Lindos. Lindos Beach, also known as the Main Beach (Megali Paralia), is located east of the Acropolis. It is sandy with shallow water, making it a perfect swimming spot for kids. On the western tip of the bay is the smaller, taverna fringed Pallas Beach. You can see this beautiful bay while up on the Acropolis of Lindos. A 10-minute walk from town to the western side of the Acropolis gets you to this stunning sheltered bay called St Paul’s. Its shape and its beautiful turquoise water will make your heart ache. 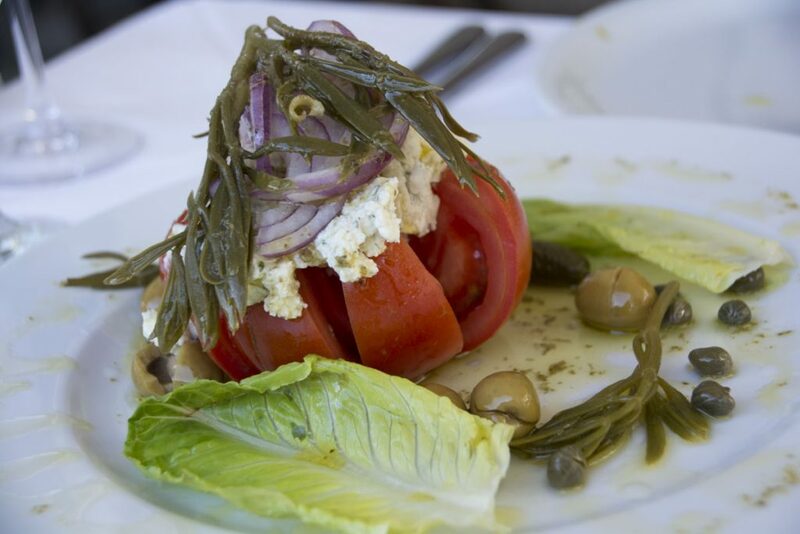 The Greek islands have some fantastic family-run tavernas and some are just known to be the “it” places to dine for the quality of the cuisine. 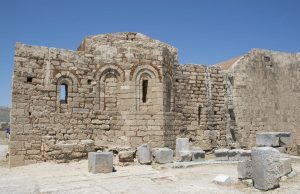 Mavrikos of Lindos is one of them. 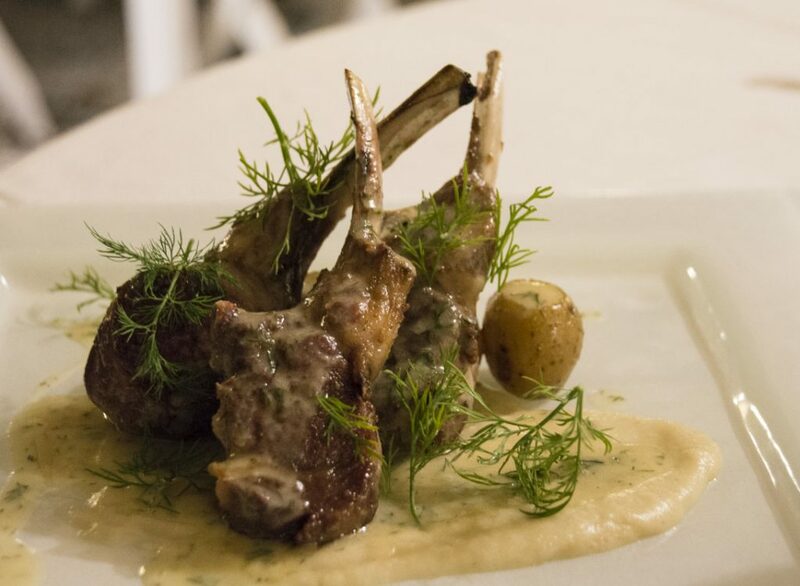 You cannot go wrong at this wonderful restaurant which features a fantastic menu of traditional Greek and Rhodes specialties. 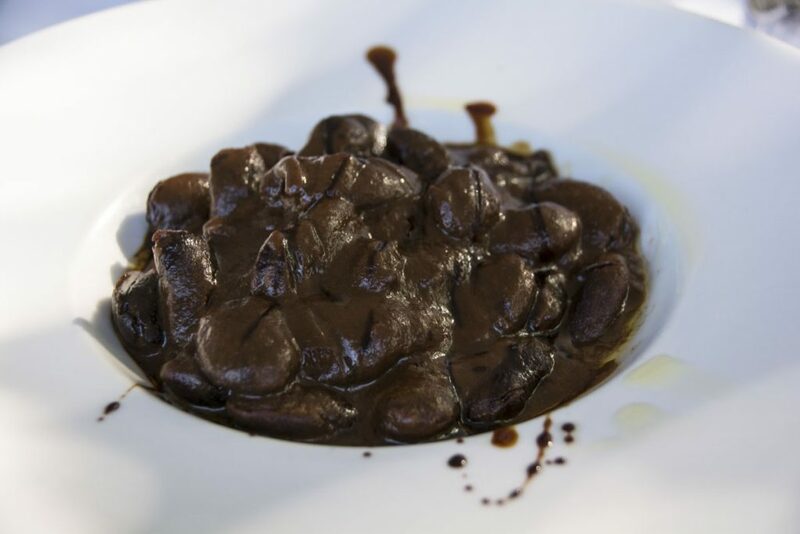 I loved the giant black beans in a carob sauce. 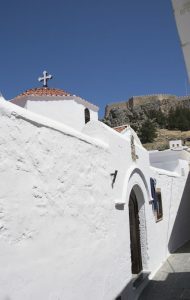 Right in the main square of Lindos. I had the pleasure of dining at this gorgeous sea-view terrace restaurant. 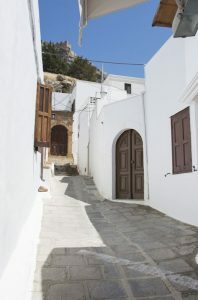 It is part of the stunning boutique hotel where I also had the pleasure of staying, Melenos Lindos. 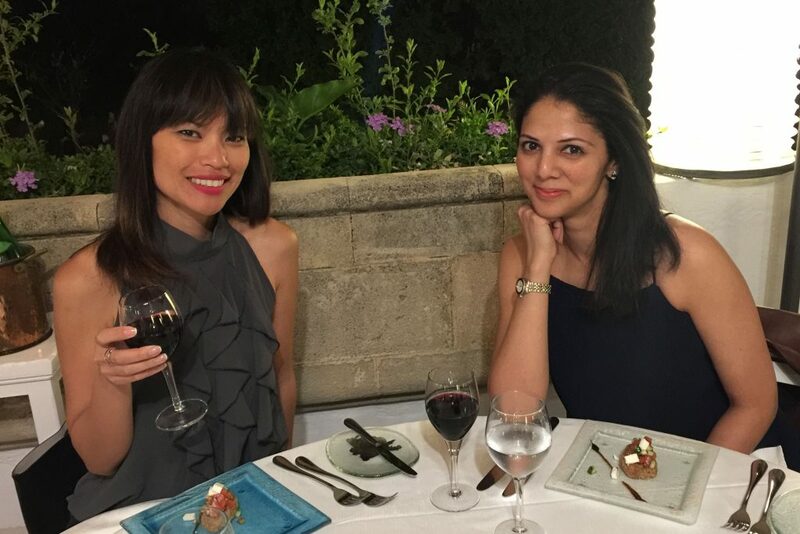 The dishes were beautiful, wine list fantastic and the staff offered attentive service. It’s probably the most romantic spot in Lindos too. Just off the main road approaching Lindos from northern Rhodes Town, you’ll need to steer your car to the left side of the road and snap this view. 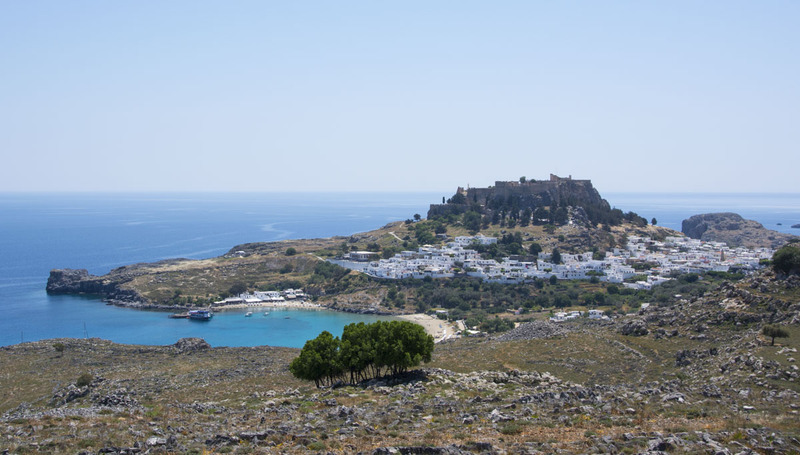 Lindos is a unique town with history, beauty and atmosphere. As I said earlier, this view tells a thousand stories. Don’t you think? Rhodes International Airport is in Paradisi, 16 km from Rhodes Town. Check Vayama for the best flights and fares. Also note that there are several low-cost airlines that fly in and charter flights in the summer from around Europe and Thessaloniki. 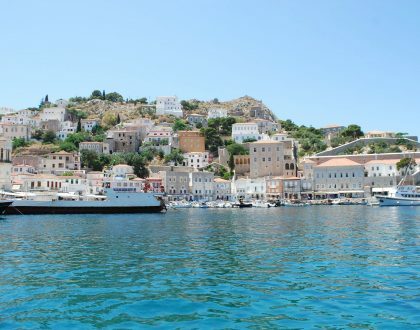 You can travel to Rhodes by ferry boat or high speed boat. Ferries usually leave from Piraeus daily and travel during the night. The ferry ticket prices vary per boat and by season. Journeys last 13 to 17 hours. I would suggest booking a cabin. 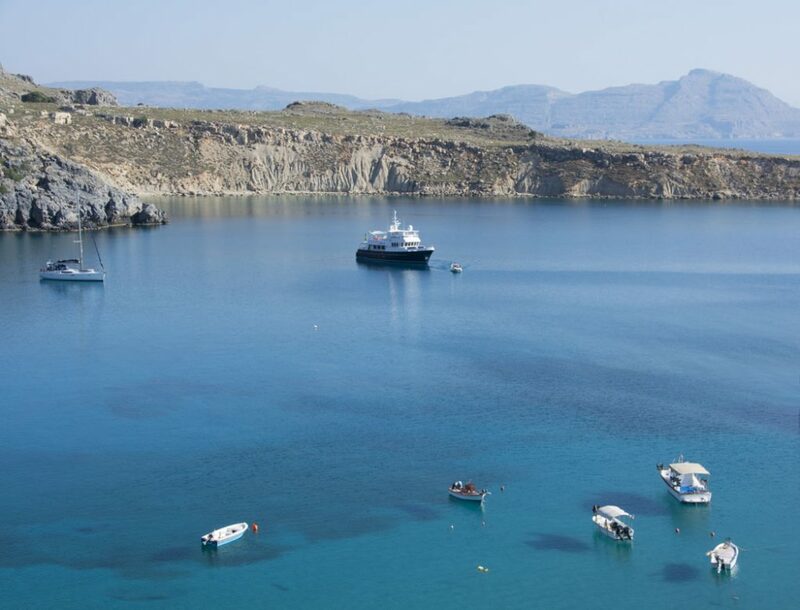 I recommend contacting Triton Tours for travel services throughout the Dodecanese islands. 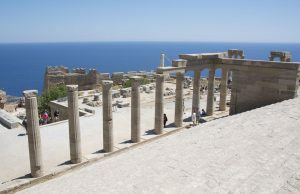 Rhodes is a big island and if you want to move from one place to another it would be advisable to take your own car or rent one. Lindos is south of Rhodes Town, about a 50-minute drive. You can rent a car with Avis Europe. 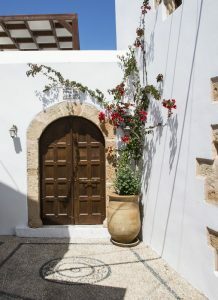 I highly recommend Melenos Lindos, a Tresor luxury boutique hotel. The design, atmosphere, service and cuisine is pure style. Local history, tradition and beauty at its best. 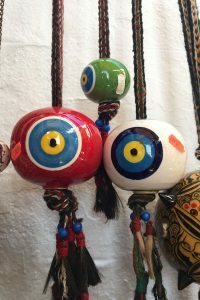 For more about Rhodes, check out my earlier post: Top Things to Do in Rhodes Old Town. 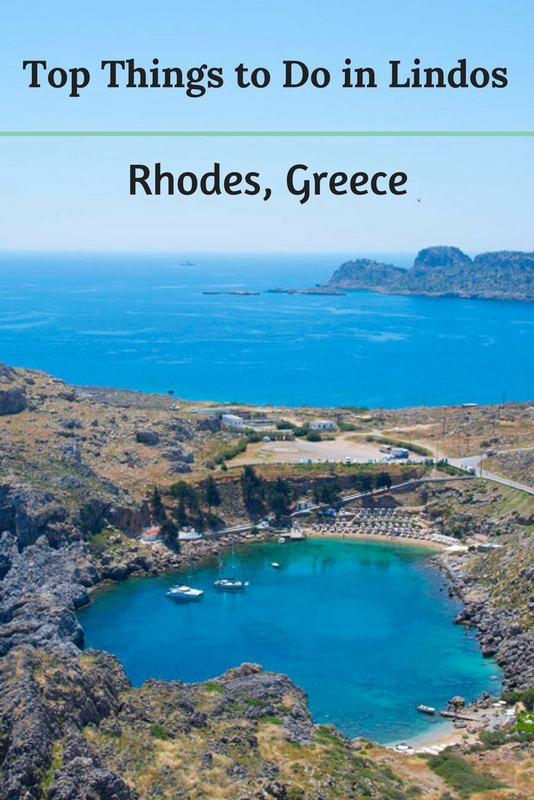 Have you been to Lindos or Rhodes? I’d love to hear what your travel experience was on this island. Feel free to comment below. Had a super time in Lindos. Thoroughly enjoyed the experience. Great blog post as It brings back beautiful memories. Thank you. 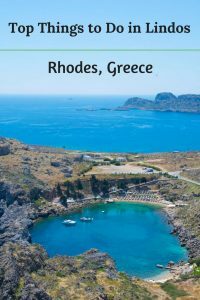 I never visited Lindos but after reading your article its in my priority list. Very well written. Thanks for great share. Hi Pavitra, Thanks so much for this feedback. I hope you do go to Lindos. It is beautiful. If you go, tell me how you like it!! We have been visiting lindos since 1985 and also had the pleasure of staying in Melenoes it was fabulous and have known Michalis for many years we have travelled to various places but always drawn back to lindos it’s people and village just wraps around you we have made many Greek friends we have stayed all over the village it’s just such a special place with a unique atmosphere. Hi Ann, Oh, that’s great. Lindos is such a beautiful place. I loved visiting. Yes, Michalis is a great host and the people of the village are wonderful indeed. I agree, it is a very special destination!